The French POP ART by VERTU takes over Lío Ibiza on Tuesdays this summer. Prepare for the Parisian avant-garde to blend with the effervescent Ibiza vibe. Voila! The brand new night adds a dash of Parisian flair to the charismatic venue. POP ART by VERTU embodies the very essence of France's capital, with fashion and colour-filled exuberance by the plate full. The worlds of pop culture and luxury lifestyle will be colliding into an explosion of entertainment. Dom Perignon, Bvulgari, Hennessy, Jean Paul Gaultier are some of the big name brands with which VERTU has worked in the past, so you can expect an evening at Lío to be of the very highest calibre. Besides rapturous entertainment, the luxurious and avant-garde themed nights will have deep house grooves spun by international DJs. This brand new experience seems like a match made in heaven. 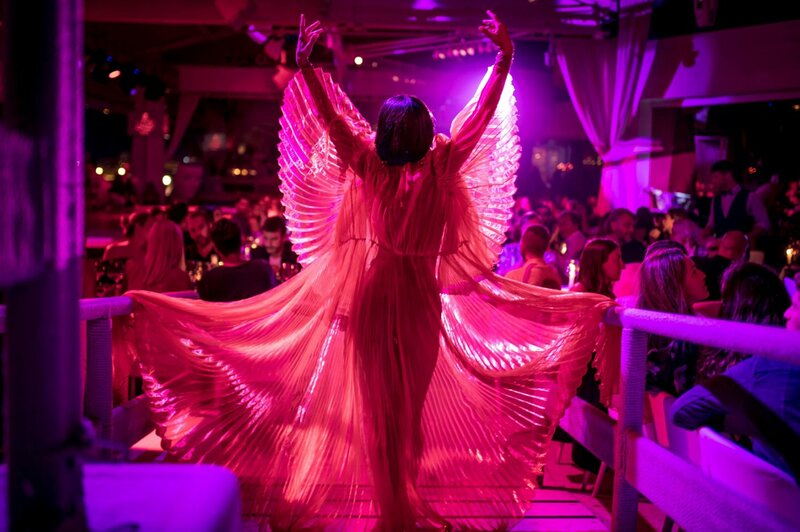 A restaurant with a club atmosphere, Lío beckons glamourous clientele to dine and dance during its cabaret-style dinner shows that transform into a seaside clubbing hotspot. Every Tuesday from 28 May until 1 October, wrap yourself up in this à la mode evening, a sharp sophisticated soiree straight from the streets of Paris.